BRUSSELS, November 25. /TASS/. Leaders of 27 EU member-states endorsed at their summit on Sunday a deal on the United Kingdom’s leaving the bloc and a declaration on the future relations with London, European Council President Donald Tusk said. 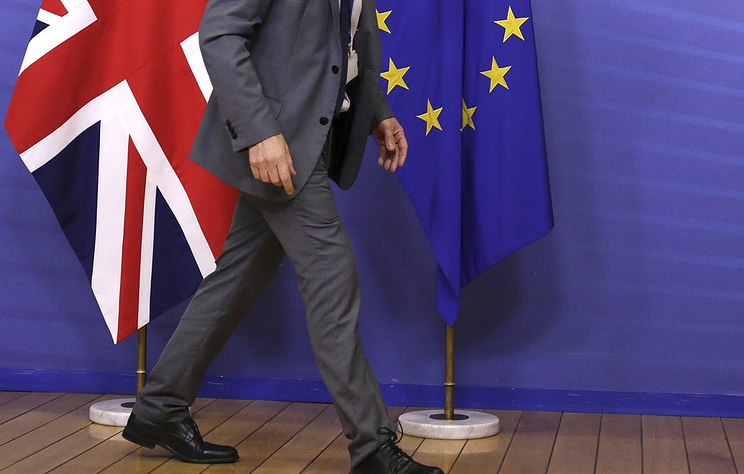 "EU27 [without the UK] has endorsed the Withdrawal Agreement and Political Declaration on the future EU-UK relations," Tusk said several minutes after the summit’s opening. The leaders said in their final statement that the EU Commission, the European Parliament and the European Council should "take the necessary steps to ensure that the agreement can enter into force on 30 March 2019, so as to provide for an orderly withdrawal." The EU summit also backed the political declaration, which defines future relations between the bloc, the UK and Northern Ireland. The EU is determined to closely cooperate with the UK after Brexit. The EU approach will be defined by common positions and principles outlined in the EU’s earlier agreed strategies. The EU will keep working on this issue, the statement said. On November 15, Brussels and London announced that after more than 18 months of discussions, they finally agreed on a 585-page draft deal on Brexit, stipulating the terms of United Kingdom’s withdrawal. Now it is due to be backed by the EU member-states’ parliaments, the European Parliament and the UK parliament. However, the main issue - the border between Ireland and Northern Ireland (a part of the United Kingdom) - remained unsolved. Negotiators have simply delayed the problem, making instead a written pledge to find a solution until July 1, 2020. As long as the format of future relations between the UK and the EU remains undefined, the sides would have a single customs space that includes Northern Ireland, too. According to the document, during the entire transition period after Brexit, which would last through 2020 and may be extended once, the United Kingdom will in fact retain all of its commitments as the EU member (including making contributions to the EU budget and complying with all regulations of the European market). At the same time, London will be excluded from the European decision-making process during that period.